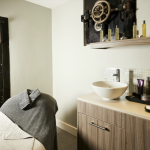 The team at flooring matters once again did a fantastic job for us at our new spa and treatment areas at the Jetty hotel in Bristol. They were called in at late notice and worked tirelessly to ensure the works were completed for the handover date. As on previous jobs, all works were completed to a high standard within budget. We were delighted with the quality and standard of the work delivered by Flooring Matters SW Ltd during the complete refurbishment of Kents Cavern’s all new 120-seater restaurant, the Firestone Kitchen. The clue is in their name “Flooring Matters” – it does to this company, it matters a lot. Andy runs a professional team of experienced flooring contractors who take great care in what they do. They worked to accommodate our needs and requirements and took great pride in the finish they achieve. We would definitely use them again. 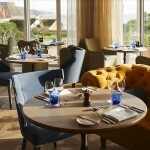 Andy and his team completed the new bespoke floor at the Sidmouth Harbour Hotel in a timely and very efficient manor. More over Andy delivered the service on budget as quoted and offered advice and demonstrations on aftercare. I will be using Flooring Matters again on future projects and would highly recommend them to any commercial or domestic customer.